Join us on Friday nights at 7 PM for our general body meetings! Interested in robotics? Then get involved with Illinois Tech Robotics, a student organization focused on countless varieties of competitive and noncompetitive robotics! Founded in 2006, Illinois Tech Robotics is the largest and most active extracurricular robotics club at Illinois Institute of Technology. We compete annually at the Midwest Robotics Design Competition held at UIUC. Additionally, we are a regular participant in other engineering competitions such as IIT's Pumpkin Launch. Given the unique requirements of robotics, ITR draws its membership from nearly every major offered at IIT. Aspiring mechanical, aerospace, and material science engineers routinely work closely with electrical, computer, and software engineers to bring our complex projects to fruition. Students from physics, chemical, and civil departments have also found ways to contribute their expertise and expand our skillset. The wide ranging disciplines of our membership is reflected in our partnerships with other organizations on campus. ITR has jointly held events with, or assisted with the competitive efforts of ASME, ASCE, IIT Esports, SAE, AIAA, and other campus organizations. Giving back to our FIRST Robotics roots, ITR members often volunteer with high school robotics clubs around the Chicagoland area. In the past, our members have mentored numerous local teams for the FIRST LEGO League and FIRST Robotics Competition. Enter through the revolving door at 3424 S State St. Turn left at the security desk, then turn right at the intersection and go to the end of the hall. 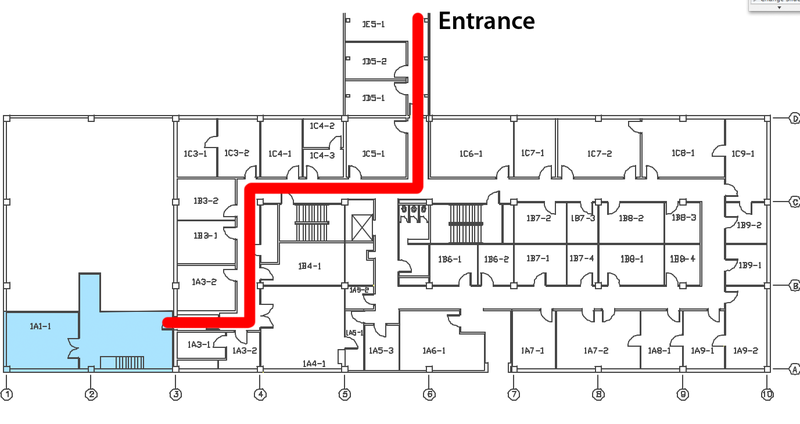 Turn left; the entrance to the robotics lab is at the end of the hall on the right, through the blast doors. 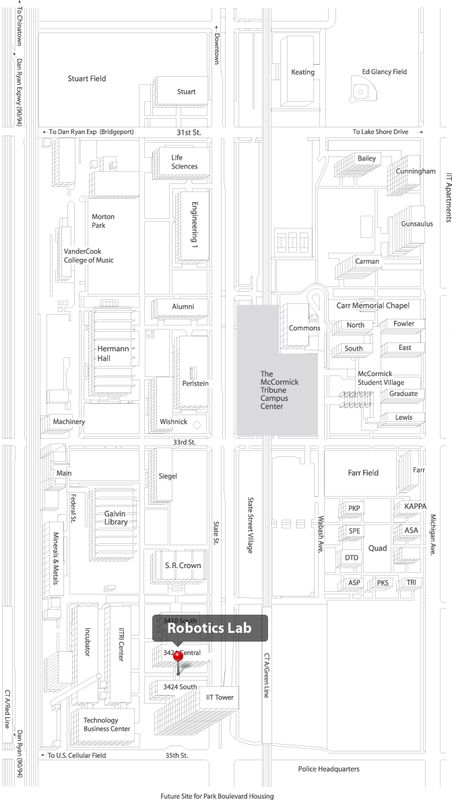 For after hours access, enter through the IIT Tower at 10 W 35th St. Tap your ID card on the pillar and walk around the elevator bank. Go in through the glass door, up the steps, and through the double wooden doors, which will be open. Turn left, then turn right at the end of the hallway. At the corner past the elevator, make a left and then another left. The entrance to the robotics lab is at the end of the hall on the right, through the blast doors. New members should sign up for our organization on HawkLink to receive information about meetings and other club activities. Each project also has its own mailing list. Please contact the project lead for information regarding project specific communications. You can also recieve news and photo updates from our Facebook Page. Like us and share us with your friends! The lab is currently closed. Check our calendar for more info.